Facsimile transmission systems for still photographs pioneered methods of mechanical scanning of images in the early 19th century. The Scottish inventor Alexander Bain introduced the facsimile machine between 1843 and 1846. The English physicist Frederick Bakewell demonstrated a working laboratory version in 1851. The first practical facsimile system, working on telegraph lines, was developed and put into service by the Italian priest Giovanni Caselli from 1856 onward. As a 23-year-old German university student, Paul Julius Gottlieb Nipkow proposed and patented the Nipkow disk in 1884. This was a spinning disk with a spiral pattern of holes in it, so each hole scanned a line of the image. Although he never built a working model of the system, variations of Nipkow's spinning-disk "image rasterizer" became exceedingly common. Constantin Perskyi had coined the word television in a paper read to the International Electricity Congress at the International World Fair in Paris on August 25, 1900. Perskyi's paper reviewed the existing electromechanical technologies, mentioning the work of Nipkow and others. However, it was not until 1907 that developments in amplification tube technology, by Lee de Forest and Arthur Korn among others, made the design practical. By the 1920s, when amplification made television practical, Scottish inventor John Logie Baird employed the Nipkow disk in his prototype video systems. He created his prototype in a little village called Santa Cruz on the island of Trinidad where he was recovering from an illness. He had also started work on the first color television. On March 25, 1925, Baird gave the first public demonstration of televised silhouette images in motion, at Selfridge's Department Store in London. Since human faces had inadequate contrast to show up on his primitive system, he televised a ventriloquist's dummy named "Stooky Bill" talking and moving, whose painted face had higher contrast. 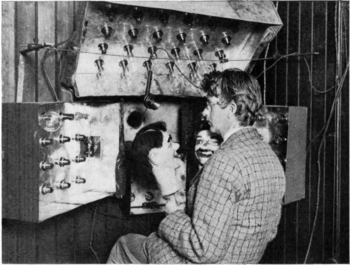 By January 26, 1926 he demonstrated the transmission of an image of a face in motion by radio. This is widely regarded as the first television demonstration in history. The subject was Baird's business partner Oliver Hutchinson. Baird's system used the Nipkow disk for both scanning the image and displaying it. A bright light shining through a spinning Nipkow disk set with lenses projected a bright spot of light that swept across the subject. Selenium photoelectric tube detected the light reflected from the subject and converted it into a proportional electrical signal. This was transmitted by AM radio waves to a receiver unit, where the video signal was applied to a neon light behind a second Nipkow disk rotating synchronized with the first. The brightness of the neon lamp was varied in proportion to the brightness of each spot on the image. As each hole in the disk passed by, one scan line of the image was reproduced. Baird's disk had 30 holes, producing an image with only 30 scan lines, just enough to recognize a human face. In 1927, Baird transmitted a signal over 438 miles (705 km) of telephone line between London and Glasgow. In 1928, Baird's company (Baird Television Development Company/Cinema Television) broadcast the first transatlantic television signal, between London and New York, and the first shore-to-ship transmission. In 1929, he became involved in the first experimental mechanical television service in Germany. In November of the same year, Baird and Bernard Natan of Pathé established France's first television company, Télévision-Baird-Natan. In 1931, he made the first outdoor remote broadcast, of the Epsom Derby. In 1932, he demonstrated ultra-short wave television. Baird's mechanical system reached a peak of 240-lines of resolution on BBC television broadcasts in 1936 though the mechanical system did not scan the televised scene directly. Instead a 17.5mm film was shot, rapidly developed and then scanned while the film was still wet. An American inventor, Charles Francis Jenkins also pioneered the television. He published an article on "Motion Pictures by Wireless" in 1913, but it was not until December 1923 that he transmitted moving silhouette images for witnesses, and it was on June 13, 1925 that he publicly demonstrated the synchronized transmission of silhouette pictures. In 1925 Jenkins used Nipkow disk and transmitted the silhouette image of a toy windmill in motion, over a distance of five miles from a naval radio station in Maryland to his laboratory in Washington, D.C., using a lensed disk scanner with a 48-line resolution. He was granted the U.S. patent No. 1,544,156 (Transmitting Pictures over Wireless) on June 30, 1925 (filed March 13, 1922). In 1928, WRGB then W2XB was started as the world's first television station. It broadcast from the General Electric facility in Schenectady, NY. It was popularly known as "WGY Television". Meanwhile, in the Soviet Union, Léon Theremin had been developing a mirror drum-based television, starting with 16 lines resolution in 1925, then 32 lines and eventually 64 using interlacing in 1926, and as part of his thesis on May 7, 1926 he electrically transmitted and then projected near-simultaneous moving images on a five-foot square screen. By 1927 he achieved an image of 100 lines, a resolution that was not surpassed until 1931 by RCA, with 120 lines. On December 25, 1926, Kenjiro Takayanagi demonstrated a television system with a 40-line resolution that employed a Nipkow disk scanner and CRT display at Hamamatsu Industrial High School in Japan. This prototype is still on display at the Takayanagi Memorial Museum in Shizuoka University, Hamamatsu Campus. His research in creating a production model was halted by the US after Japan lost World War II. Because only a limited number of holes could be made in the disks, and disks beyond a certain diameter became impractical, image resolution on mechanical television broadcasts was relatively low, ranging from about 30 lines up to about 120. Nevertheless, the image quality of 30-line transmissions steadily improved with technical advances, and by 1933 the UK broadcasts using the Baird system were remarkably clear. A few systems ranging into the 200-line region also went on the air. Two of these were the 180-line system that Compagnie des Compteurs (CDC) installed in Paris in 1935, and the 180-line system that Peck Television Corp. started in 1935 at station VE9AK in Montreal. In 1907, Russian scientist Boris Rosing used a CRT in the receiving end of an experimental video signal to form a picture. He managed to display simple geometric shapes onto the screen, which marked the first time that CRT technology was used for what is now known as television.In 1897, J. J. Thomson, an English physicist, in his three famous experiments was able to deflect cathode rays, a fundamental function of the modern Cathode Ray Tube (CRT). The earliest version of the CRT was invented by the German physicist Karl Ferdinand Braun in 1897 and is also known as the Braun tube. It was a cold-cathode diode, a modification of the Crookes tube with a phosphor-coated screen.A cathode ray tube was successfully demonstrated as a displaying device by the German Professor Max Dieckmann in 1906, his experimental results were published by the journal Scientific American in 1909. In 1908 Alan Archibald Campbell-Swinton, fellow of the Royal Society (UK), published a letter in the scientific journal Nature in which he described how "distant electric vision" could be achieved by using a cathode ray tube (or "Braun" tube) as both a transmitting and receiving device. He expanded on his vision in a speech given in London in 1911 and reported in The Times and the Journal of the Röntgen Society. In a letter to Nature published in October 1926, Campbell-Swinton also announced the results of some "not very successful experiments" he had conducted with G. M. Minchin and J. C. M. Stanton. They had attempted to generate an electrical signal by projecting an image onto a selenium-coated metal plate that was simultaneously scanned by a cathode ray beam. These experiments were conducted before March 1914, when Minchin died. They were later repeated in 1937 by two different teams, H. Miller and J. W. Strange from EMI, and H. Iams and A. Rose from RCA. Both teams succeeded in transmitting "very faint" images with the original Campbell-Swinton's selenium-coated plate. Although others had experimented with using a cathode ray tube as a receiver, the concept of using one as a transmitter was novel. The first cathode ray tube to use a hot cathode was developed by John B. Johnson (who gave his name to the term Johnson noise) and Harry Weiner Weinhart of Western Electric, and became a commercial product in 1922. As early as 1940, Baird had started work on a fully electronic system he called the "Telechrome". Early Telechrome devices used two electron guns aimed at either side of a phosphor plate. The phosphor was patterned so the electrons from the guns only fell on one side of the patterning or the other. Using cyan and magenta phosphors, a reasonable limited-color image could be obtained. He also demonstrated the same system using monochrome signals to produce a 3D image (called "stereoscopic" at the time). A demonstration on August 16, 1944 was the first example of a practical color television system. Work on the Telechrome continued and plans were made to introduce a three-gun version for full color. However, Baird's untimely death in 1946 ended development of the Telechrome system. By the mid-1970s, the only stations broadcasting in black-and-white were a few high-numbered UHF stations in small markets, and a handful of low-power repeater stations in even smaller markets such as vacation spots. By 1979, even the last of these had converted to color and by the early 1980s B&W sets had been pushed into niche markets, notably low-power uses, small portable sets, or use as video monitor screens in lower-cost consumer equipment. By late 1980's even these areas switched to color sets. 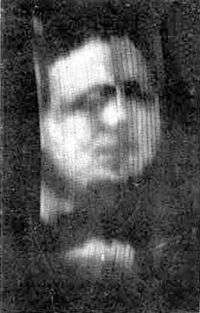 Stereoscopic 3D television was demonstrated for the first time on August 10, 1928, by John Logie Baird in his company's premises at 133 Long Acre, London. Baird pioneered a variety of 3D television systems using electro-mechanical and cathode-ray tube techniques. The first 3D TV was produced in 1935. Advent of digital television in 2000s greatly improved 3D TVs. Although 3D TV sets are quite popular for watching 3D home media such as on Blu-ray discs, 3D programming has largely failed to make an inroad in public. Many 3D television channels that started in the early 2010s were shut down by the mid 2010s. With the widespread adoption of cable across the United States in the 1970s and 80s, terrestrial television broadcasts have been in decline; in 2013 it was estimated that about 7% of US households used an antenna. A slight increase in use began around 2010 due to swichover to digital terrestrial television broadcasts, which offer pristine image quality over very large areas, and offered an alternate to CATV for cord cutters. In 1937 RCA has raised the frame definition to 441 lines, and its executives petitioned the FCC for approval of the standard. 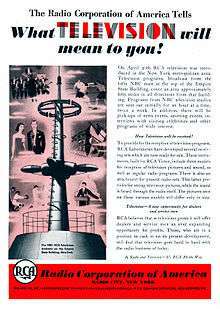 By June 1939, regularly scheduled 441-line electronic television broadcasts were available in New York City and Los Angeles, and by November on General Electric's station in Schenectady. 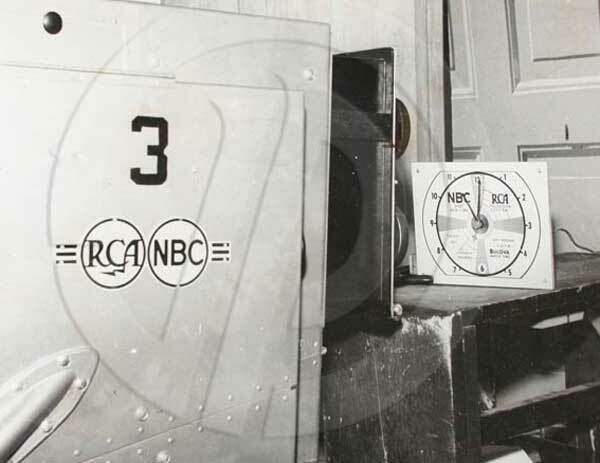 From May through December 1939, the New York City NBC station (W2XBS) of RCA broadcast twenty to fifty-eight hours of programming per month, Wednesday through Sunday of each week. The programming was 33% news, 29% drama, and 17% educational programming, with an estimated 2,000 receiving sets by the end of the year, and an estimated audience of five to eight thousand. A remote truck could cover outdoor events from up to 10 miles (16 km) away from the transmitter, which was located atop the Empire State Building. Coaxial cable was used to cover events at Madison Square Garden. The coverage area for reliable reception was a radius of 40 to 50 miles (80 km) from the Empire State Building, an area populated by more than 10,000,000 people (Lohr, 1940). The first testing television station in Mexico signed on in 1935. When KFMB-TV in San Diego signed on in 1949, Baja California became the first state to receive a commercial television station over the air. Within a year, the Mexican government would adopt the U.S. NTSC 525-line B/W 60-field-per-second system as the country's broadcast standard. In 1950, the first commercial television station within Mexico, XHTV in Mexico City, signed on the air, followed by XEW-TV in 1951 and XHGC in 1952. Those three were not only the first television stations in the country, but also the flagship stations of Telesistema Mexicano, which was formed in 1955. That year, Emilio Azcárraga Vidaurreta, who had signed on XEW-TV, entered into a partnership with Rómulo O'Farrill who had signed on XHTV, and Guillermo González Camarena, who had signed on XHGC. The earliest 3D television broadcasts in the world were broadcast over XHGC in 1954. 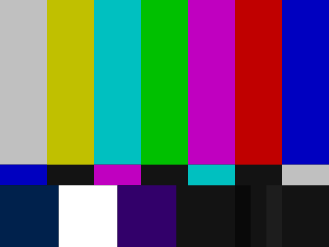 Color television was introduced in 1962, also over XHGC-TV. One of Telesistema Mexicano's earliest broadcasts as a network, over XEW-TV, on June 25, 1955, was the first international North American broadcast in the medium's history, and was jointly aired with NBC in the United States, where it aired as the premiere episode of Wide Wide World, and the Canadian Broadcasting Corporation. Except for a break between 1969–1973, every commercial television station in Mexico, with exceptions in the border cities, was expected to affiliate with a subnetwork of Telesistema Mexicano or its successor, Televisa (formed by the 1973 merger of Telesistema Mexicano and Television Independiente de Mexico). This condition would not be relaxed for good until 1993, when Imevision was privatized to become TV Azteca (now known simply as Azteca). 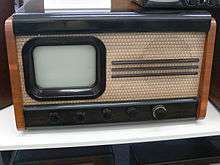 In former Czechoslovakia (now Slovakia and Czech Republic) the first experimental television sets were produced in 1948. In the same year the first TV- transmission was performed. The first regular TV public transmission started on May 1, 1953. The state-owned TV-centers were in Prague, Bratislava, Brno and Ostrava. 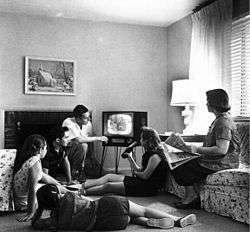 In 1961 more than a million citizens had a television set. In 1970, The Czechoslovak television had three channels: Czech, Slovak and a bilingual Federal Channel. In 1973, color broadcasting started. With the entry of France into World War II the same year, broadcasts ceased and the transmitter of the Eiffel Tower was sabotaged. On September 3, 1940, French television was seized by the German occupation forces. A technical agreement was signed by the Compagnie des Compteurs and Telefunken, and a financing agreement for the resuming of the service is signed by German Ministry of Post and Radiodiffusion Nationale (Vichy's radio). On May 7, 1943 at 3:00 evening broadcasts. The first broadcast of Fernsehsender Paris (Paris Télévision) was transmitted from rue Cognac-Jay. 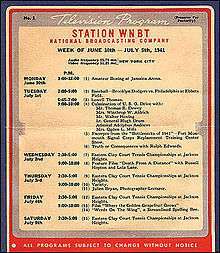 These regular broadcasts (5 1⁄4 hours a day) lasted until August 16, 1944. One thousand 441-line sets, most of which were installed in soldiers' hospitals, picked up the broadcasts. These Nazi-controlled television broadcasts from the Eiffel Tower in Paris were able to be received on the south coast of England by R.A.F. and BBC engineers, who photographed the station identification image direct from the screen. In the East Germany, the head of broadcasting in the Soviet occupation zone, Hans Mahler predicted in 1948 that in the near future ‘a new and important technical step forward in the field of broadcasting in Germany will begin its triumphant march: television.’ In 1950, the plans for a nationwide television service got off the ground, and a Television Centre in Berlin was approved. Test transmissions began in 1952 using the 625-line standard developed in the Soviet Union in 1944. In the West Germany, the British occupation forces as well as NWDR (Nordwestdeutscher Rundfunk), which had started work in the British zone straight after the war, agreed to the launch of a television station. Even before this, German television specialists had agreed on 625 lines as the future standard. This standard had narrower channel bandwidth (7 MHz) compared to the Soviet specification (8 MHz), allowing to fit three television channels into the VHF I band. When color was introduced, the West Germany chose a variant of NTSC color system, modified by Walter Bruch and called PAL. The East Germany accepted French SECAM system, which was used in East European countries. With reunification of Germany, it was decided to switch to the PAL color system. The system was changed in December 1990. Earlier cable television was analog, but since the 2000s all cable operators have switched to or are in process of switching to digital cable television. The direct-broadcast satellite television signals were earlier analog signals and later digital signals, both of which require a compatible receiver. Digital signals may include high-definition television (HDTV). Some transmissions and channels are free-to-air or free-to-view, while many other channels are pay television requiring a subscription. In 1945 British science fiction writer Arthur C. Clarke proposed a world-wide communications system that would function by means of three satellites equally spaced apart in earth orbit. This was published in the October 1945 issue of the Wireless World magazine and won him the Franklin Institute's Stuart Ballantine Medal in 1963. The world's first commercial communications satellite, called Intelsat I and nicknamed "Early Bird", was launched into geosynchronous orbit on April 6, 1965. The first national network of television satellites, called Orbita, was created by the Soviet Union in October 1967, and was based on the principle of using the highly elliptical Molniya satellite for rebroadcasting and delivering of television signals to ground downlink stations. The first commercial North American satellite to carry television transmissions was Canada's geostationary Anik 1, which was launched on 9 November 1972. ATS-6, the world's first experimental educational and Direct Broadcast Satellite (DBS), was launched on May 30, 1974. It transmitted at 860 MHz using wideband FM modulation and had two sound channels. The transmissions were focused on the Indian subcontinent but experimenters were able to receive the signal in Western Europe using home constructed equipment that drew on UHF television design techniques already in use. The first in a series of Soviet geostationary satellites to carry Direct-To-Home television, Ekran 1, was launched on October 26, 1976. It used a 714 MHz UHF downlink frequency so that the transmissions could be received with existing UHF television technology rather than microwave technology. In 1979 Soviet engineers developed the Moskva (or Moscow) system of broadcasting and delivering of TV signals via satellites. They launched the Gorizont communication satellites later that same year. These satellites used geostationary orbits. They were equipped with powerful on-board transponders, so the size of receiving parabolic antennas of downlink stations was reduced to 13.1 and 8.2 feet (4 and 2.5 m). On October 18, 1979, the Federal Communications Commission (FCC) began allowing people to have home satellite earth stations without a federal government license. The front cover of the 1979 Neiman-Marcus Christmas catalogue featured the first home satellite TV stations on sale for $36,500. The dishes were nearly 20 feet (6.1 m) in diameter and were remote controlled. The price went down by half soon after that, but there were only eight more channels. The Society for Private and Commercial Earth Stations (SPACE), an organisation that represented consumers and satellite TV system owners was established in 1980. The first commercially made electronic televisions with cathode ray tubes were manufactured by Telefunken in Germany in 1934, followed by other makers in France (1936), Britain (1936), and America (1938). The cheapest model with a 12-inch (30 cm) screen was $445 (equivalent to $7,493 in 2015). 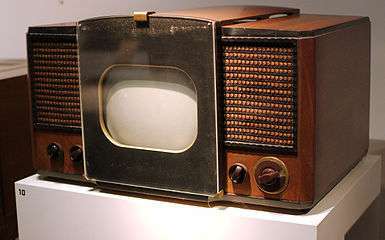 An estimated 19,000 electronic televisions were manufactured in Britain, and about 1,600 in Germany, before World War II. About 7,000–8,000 electronic sets were made in the U.S. before the War Production Board halted manufacture in April 1942, production resuming in August 1945. Television usage in the western world skyrocketed after World War II with the lifting of the manufacturing freeze, war-related technological advances, the drop in television prices caused by mass production, increased leisure time, and additional disposable income. While only 0.5% of U.S. households had a television in 1946, 55.7% had one in 1954, and 90% by 1962. In Britain, there were 15,000 television households in 1947, 1.4 million in 1952, and 15.1 million by 1968. By the late 1960s and early 1970s, color television had come into wide use. In Britain, BBC1, BBC2 and ITV were regularly broadcasting in color by 1969. By the late 2000s, CRT display technology was largely supplanted worldwide by flat panel displays such as LCD. Flat panels television especially LCD has become the all-dominant form of television since the early 2010s. ↑ https://www.nyu.edu/classes/stephens/History%20of%20Television%20page.htm Stephens, Mitchell (February 6, 2015). "History of Television". www.nyu.edu. New York University. Retrieved February 6, 2015. ↑ Huurdeman, p. 149 The first telefax machine to be used in practical operation was invented by an Italian priest and professor of physics, Giovanni Caselli (1815 - 1891). ↑ News (1914-04-02). "Prof. G. M. Minchin, F.R.S.". Nature. 93 (2318): 115–116. doi:10.1038/093115a0. 1 2 "Philo Taylor Farnsworth (1906–1971)", The Virtual Museum of the City of San Francisco, retrieved 2009-07-15. 1 2 Smith, Harry (July 1953). "Multicon – A new TV camera tube". newspaper article. Early Television Foundation and Museum. Retrieved 2010-01-15. ↑ Early Television Museum. "TV Camera Tubes, German "Super Iconoscope" (1936)". photographic album. Early Television Foundation and Museum. Retrieved 2010-01-15. 1 2 "On the beginning of broadcast in 625 lines 60 years ago", 625 magazine (in Russian). 1 2 "The edit that rewrote history – Baird". Transdiffusion Broadcasting System. 31 October 2005. Retrieved 28 May 2007. ↑ ""Can you see me clearly?" Public TV image reception experiment (1939)". NHK. 1939-05-13. Retrieved 2012-11-11. ↑ Kenjiro Takayanagi: The Father of Japanese Television. Retrieved 2012-11-01. ↑ "Encyclopedia Astronautica - Intelsat I". Retrieved 5 April 2010. ↑ "Ekran". Astronautix.com. Astronautix. 2007. Retrieved 1 July 2014. 1 2 Wade, Mark. "Gorizont". Encyclopedia Astronautica. Retrieved 2008-06-29. 1 2 "Industry History". sbca.com. Satellite Broadcasting and Communications Association. 2014. Retrieved 5 June 2014. 1 2 Article STATUTE-106-Pg1460.pdf, Cable Television Consumer Protection and Competition Act of 1992, Act No. 1460 of 8 October 1992 (in English). Retrieved on 3 July 2014. ↑ Lachenbruch, David (1984), "New digital receivers deliver ultimate TV". Popular Science, June 1984, p. 56. History of television – Includes an anthology of early texts on "seeing at a distance by electricity"